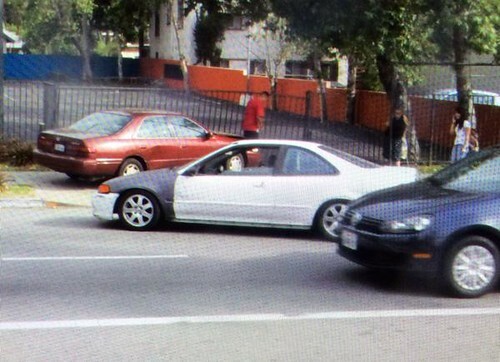 A car driver crashed into a pedestrian and a person riding a bike at the intersection of Avenue 43 and North Figueroa Street on March 18, 2015. A proposed road diet and bike lanes on this street were halted by Councilman Gil Cedillo – a plan that would have reduced crashes like this by at least 25% according to LADOT studies. In response to negative publicity for killing the road diet plan, Cedillo proposed a ludicrous diagonal parking scheme which was shelved after locals spoke out against it. Since watching his diagonal parking plan go down in flames, Cedillo has proposed a 5-block “Great Street” on North Figueroa. This crash took place 13 blocks outside of the proposed “Great Street” zone. 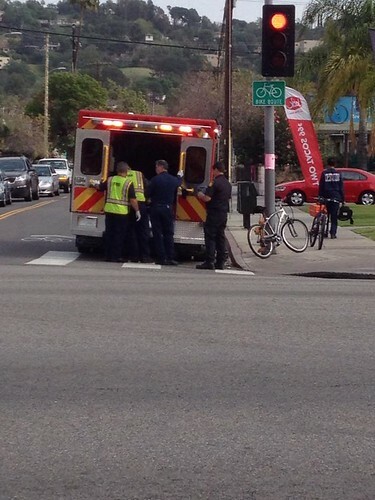 The person riding the bike in this crash can be seen being loaded into the back of an ambulance. The pedestrian is seated on the grass. 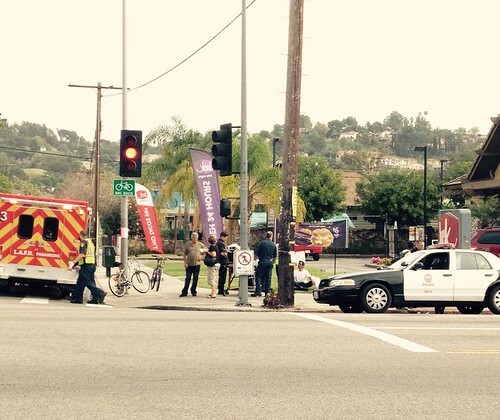 A car crash between Avenue 44 and Avenue 43 on North Figueroa. Image by Twitter user fig4all and shot while on the bus heading south.